Tunica is a town in and the county seat of Tunica County, Mississippi, near the Mississippi River. Start off your visit on the 18th (Sun): try your luck at Gold Strike Casino and then try to win big at Horseshoe Casino. To find photos, ratings, and other tourist information, use the Tunica itinerary planner. New Orleans to Tunica is an approximately 6-hour combination of flight and taxi. You can also drive; or do a combination of train and taxi. Expect cooler evenings in Tunica when traveling from New Orleans in November, with lows around 40°F. Wrap up your sightseeing on the 18th (Sun) early enough to drive to Hot Springs. Kick off your visit on the 19th (Mon): steep yourself in history at Fordyce Bathhouse (Vistor Center), look for gifts at Bathhouse Soapery, admire all the interesting features of Garland County Library, then take in nature's colorful creations at Garvan Woodland Gardens, and finally admire the landmark architecture of Anthony Chapel. For photos, traveler tips, more things to do, and more tourist information, read Hot Springs trip itinerary app . You can drive from Tunica to Hot Springs in 4 hours. Alternatively, you can do a combination of car and bus. In November, plan for daily highs up to 62°F, and evening lows to 43°F. Finish your sightseeing early on the 19th (Mon) to allow enough time to travel to Saint Louis. 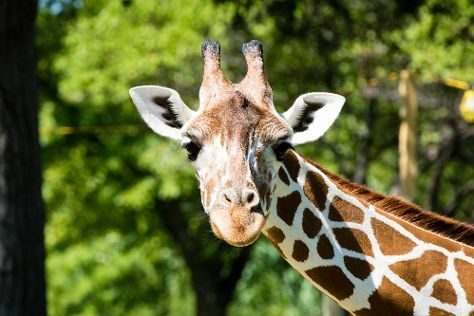 Start off your visit on the 20th (Tue): admire the natural beauty at Jewel Box, admire nature's wide array of creatures at Saint Louis Zoo, and then don't miss a visit to The Gateway Arch. For more things to do, other places to visit, traveler tips, and more tourist information, read Saint Louis trip planner . Fly from Hot Springs to Saint Louis in 6 hours. Alternatively, you can drive; or take a train. In November, Saint Louis is a bit cooler than Hot Springs - with highs of 56°F and lows of 35°F. Wrap up your sightseeing on the 20th (Tue) early enough to travel to Wichita. Wichita is the largest city in the U.S. Start off your visit on the 21st (Wed): meet the residents at Sedgwick County Zoo, then make a trip to The Keeper of the Plains, then browse the collection at Wichita Public Library, and finally pause for some serene contemplation at Cathedral of the Immaculate Conception. For ratings, other places to visit, more things to do, and other tourist information, refer to the Wichita journey maker site . Getting from Saint Louis to Wichita by flight takes about 3 hours. Other options: drive; or take a bus. In November in Wichita, expect temperatures between 59°F during the day and 35°F at night. Finish up your sightseeing early on the 21st (Wed) so you can go by car to Oklahoma City. On the 22nd (Thu), take a stroll through Bricktown and then appreciate the history behind Oklahoma City National Memorial & Museum. To find traveler tips, more things to do, maps, and tourist information, use the Oklahoma City attractions planner. You can drive from Wichita to Oklahoma City in 3 hours. Other options are to take a bus; or fly. In November, plan for daily highs up to 62°F, and evening lows to 40°F. Wrap up your sightseeing on the 22nd (Thu) to allow time to travel back home.